We have so many things to get obsessed over and addicted to now. There’s Facebook (attention people with FOMO or Fear of Missing Out), the flurry of selfies people put out at the rate that rivals Philippine buses on the road, and that time-consuming game of Candy Crush to name a few. There are good addictions. 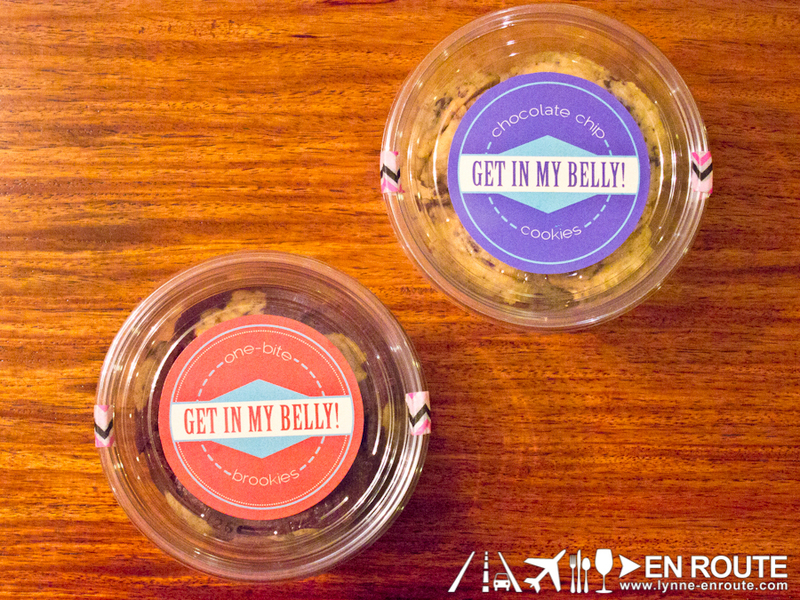 Take the examples of Get in My Belly’s One-bite Brookies and Chocolate Chip Cookies. Very, very good addictions. 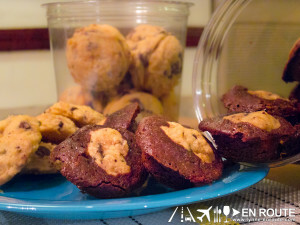 Brookies are brownies with a cookie center. It’s the coming together of two much loved sweet treats. Made bite-sized, it becomes even more irresistible. 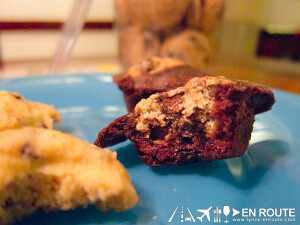 Get in My Belly’s Brookies are just how we like them – chewy and moist in the center. It has just the right level of sweetness so you don’t get tired of popping one morsel after another. 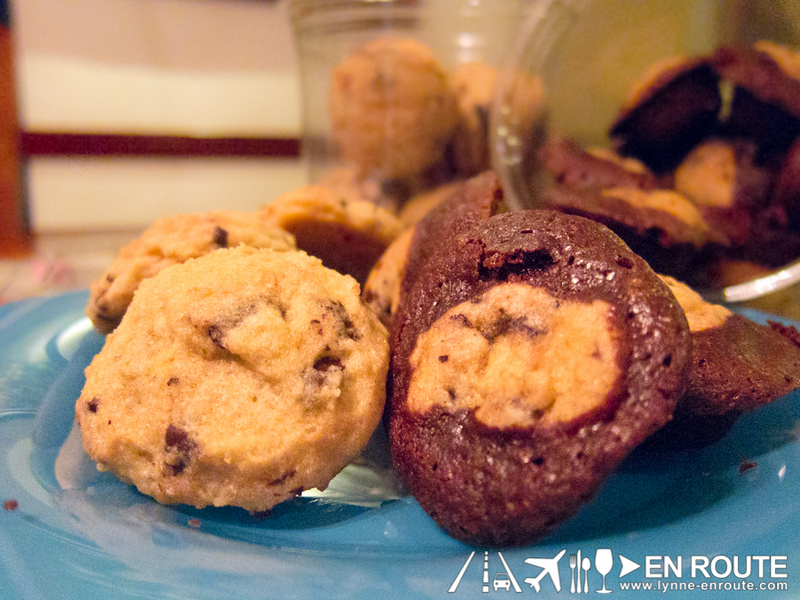 Now, if you don’t particularly like the brownie part (although we honestly don’t understand why), and just want the good ol’ chocolate chip cookies, they also have that. It’s equally good and just as addicting you almost want to keep it to yourself! I was actually contemplating on hiding the box when it was given during a family gathering. Order yours now and you get them in these cutely labeled tubs. You can also try heating them in the microwave (10 seconds should do it) or in the toaster just to get that freshly-baked warmth and gooey-ness. If you plan to pair it with wine (because chocolate just goes so well with wine), try a white wine that is a bit stronger in flavor, maybe a fruity, berry-flavored one. We are also partial to Zinfandels. See our other finds on Facebook!